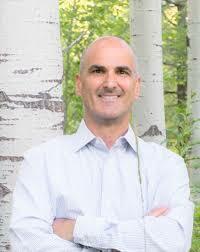 Dr. Mark Colafranceschi is a graduate from the National College of Chiropractic. He received his Bachelor Of Science in Human Biology from the University Of Western Ontario and participated in the Honors Business Program at Sir Wilfred Laurie University. He is Board Certified by both the Canadian Board Of Chiropractic Examiners and the United States Board Of Chiropractic Examiners. Dr. Colafranceschi’s additional certifications in Applied Kinesiology and Neuro-Emotional Technique was the foundation of his practice in Kansas City. He has worked with the Kansas City Chiefs professional football organization where he observed the impact that food, weight and physical trauma has on the human body. His observations guided him on his quest to create a program that will allow each of us to make choices that will enhance our personal well being.